The Fools & Kings Project is dedicated to bringing accessible, engaging theatre to New York City and its surrounding areas, with an emphasis on Shakespeare and other classical texts. Simple yet compelling design, combined with a fast-paced, high-stakes approach creates powerful, enticing productions which attract the expert and novice alike. Separated by half a country for a year, we found that our love of Shakespeare and a very Grecian-looking park in NYC sparked a strong desire to put up A Midsummer Night's Dream...and soon. As we discussed more and more plays, and half-joked about doing ALL of Shakespeare's work, the joke eventually became: "Why not?" Once we had accepted that we were now destined to produce these shows, we realized that we needed a name. After a lengthy debate, we finally settled on The Fools & Kings Project. The project's name was born of a fascination with Shakespeare's approach to class, and how it formed the actions of his characters. Many times in his plays, the kings and other members of the upper class behave ridiculously, while the fools and lower classes prove to be the true sages. The Fools & Kings Project will explore that dichotomy throughout the Bard's body of work. "I have a man's mind but a woman's might." Vanessa Wendt (Managing Director) is a producer, actor, singer, and combatant based in NYC. A passionate theater person from an early age, Vanessa performed all over the Chicago-land area while growing up, before attending the American Musical and Dramatic Academy with a focus in musical theater. Since graduating, she has worked throughout New York City on nearly every aspect of theater, deepening her appreciation for the work and dedication involved in the creation of not only a company, but every production on any level. Her love of Shakespeare has continued to be a driving force in her work, both on and off the stage, and she strives to instill that love in others - young and old. Vanessa is also a member of the SAFD. Favorite on stage credits in both musical and classical theater include Julius Caesar (Brutus, Fight Captain), La Maupin (Brigitte, Fight Captain), The Taming of the Shrew (Kate), How to Succeed... (Bud Frump), Pieces (Dr. Carol - Workshop Reading). Melissa Meli (Artistic Director) is a producer, actor, director, and podcaster based in NYC. Ms. Meli is the daughter of two opera singers, but found a love for musical theatre growing up, and then during college developed a strong penchant for Shakespeare. She graduated from New York University, where she studied acting, directing, and many other aspects of theatre at Tisch School of the Arts, primarily through Playwrights Horizons Theater School. 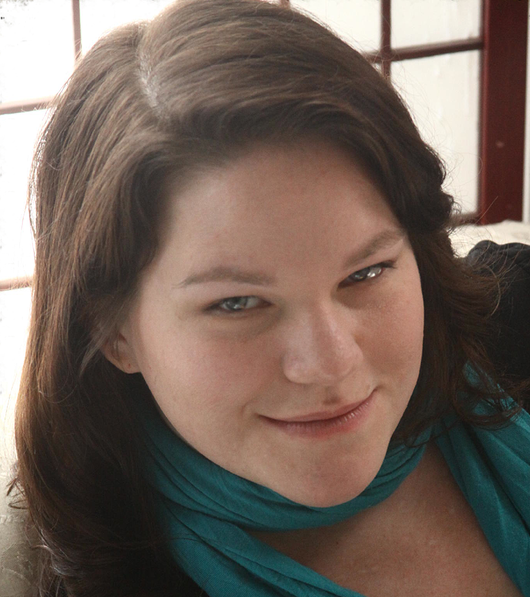 As part of previous work with Cupcake Lady Productions, she directed and co-produced the short play, "J Train", which was awarded Outstanding Production of a One-Act in the Planet Connections Festivity in 2015. Select directing: The Tempest, The Veritas Times, and The Importance of Being Earnest. Onstage Melissa continues to perform in musical and classical theatre, and favorite credits include Romeo and Juliet (Juliet), Othello (Desdemona), Pageant Princess (Maxine, WVMTF '14), and many readings of Pieces (Tabby). Melissa lives in Astoria, NY and has a deaf Boston Terrier named Romeo. Kristen Penner (Graphics Designer) Writing/Composing Credits: Starcrossed(Joe's Pub, 2018), Wolf Tale (NYNW Finalist 2017), Pageant Princess (NYNW Semi-Finalist, 2016, WVMTF Best Musical in Group, 2014, Planet Connections Best Score, 2012), Pieces (Planet Connections, 2014). Select Acting Credits: Mercutio (Starcrossed), Woodsman (Wolf Tale), Max (Pageant Princess, Best Supporting Actress PCTF 2012), Tabby (Pieces), Mama Morton (Chicago), Domina (A Funny Thing Happened...) Bottom (A Midsummer Night's Dream). Chelsea Rowe (Photographer) started with the company as an actor in their production of Midsummer Night's Dream. As their photographer she enjoys capturing the emotion and moments created onstage. With training from The International Center of Photography, she focuses on portraiture and nature. So working with Fools and Kings is pretty perfect!